Throw away your old calculators! 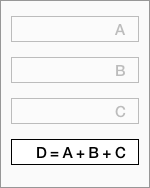 You can create calculators for each of your frequently used calculations. Set minimum and maximum values, displayed decimal points and units. Over 40 Excel compatible functions are available to help calculate your results. 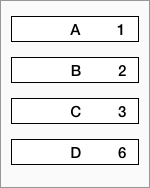 Input values using a built-in keypad calculator with common math operators. Keep your complex calculators clean by hiding intermediate results. 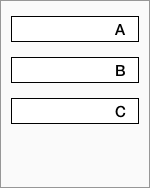 Add sliders to inputs for fast "what if" experiments. 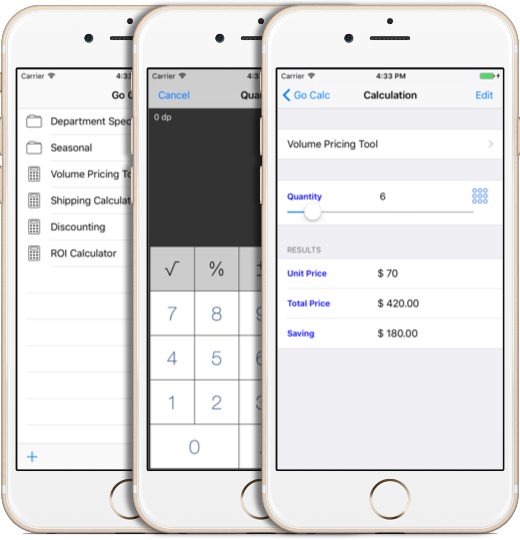 Export your calculators and share with others in your business.